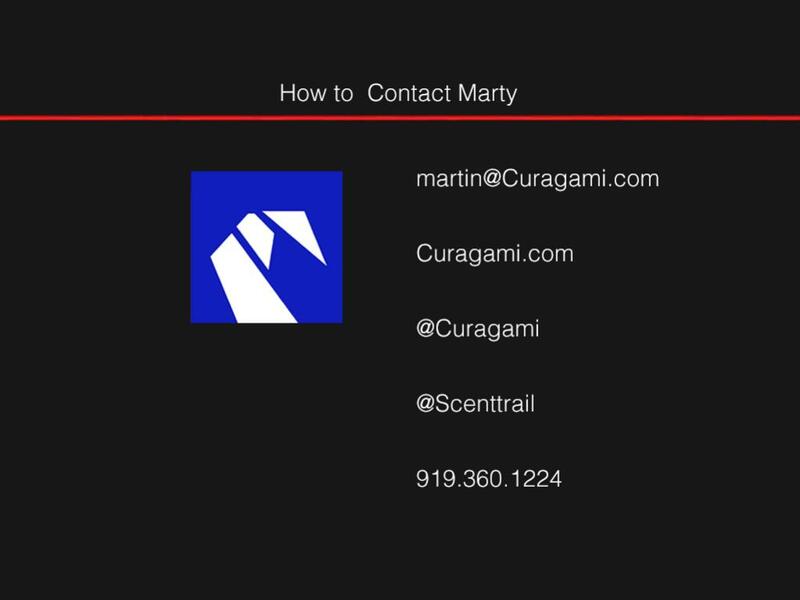 This deck was created to support a keynote address at a FedEx conference in Greensboro, North Carolina on April 26th. When shown cubist art for the first time viewers reported they didn't like it. When stories about the artist or composition were shared viewers reported liking cubism. 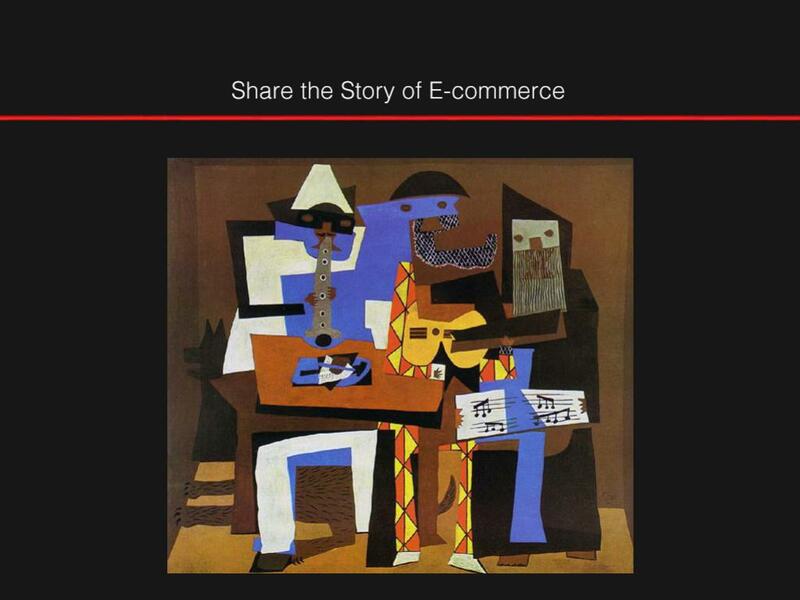 This presentation seeks to share stories about e-commerce and web design to make the complex comprehensible and knowable if not easy and fluent. 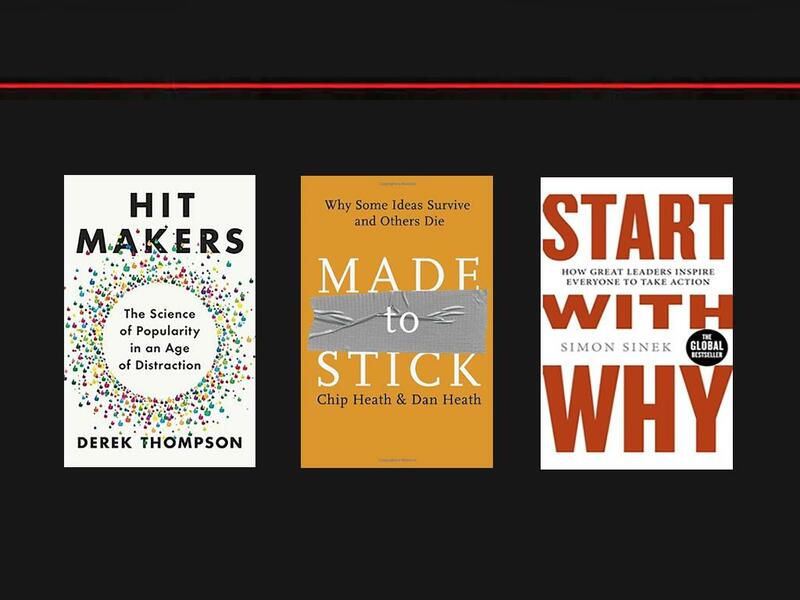 It is almost impossible to stop with three books, but if you're marketing online reading Hitmakers by Derek Thompson, Made to Stick by the Heath brothers, and Start with Why by Simon Sinek would be highly recommended. 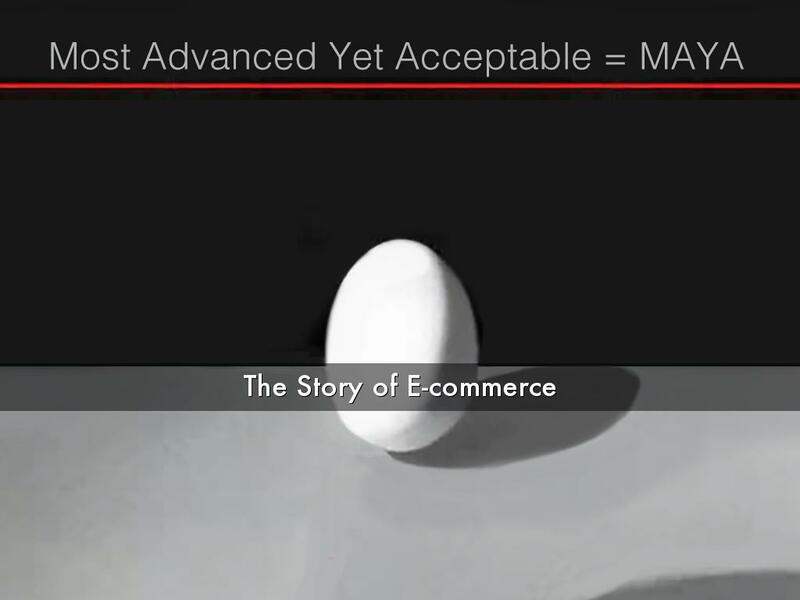 No one climbs the new Everest of e-commerce alone. To win you must form a sustaining network. "Sustaining network" means it replenishes itself faster than it decays. Your network makes more money than it costs. 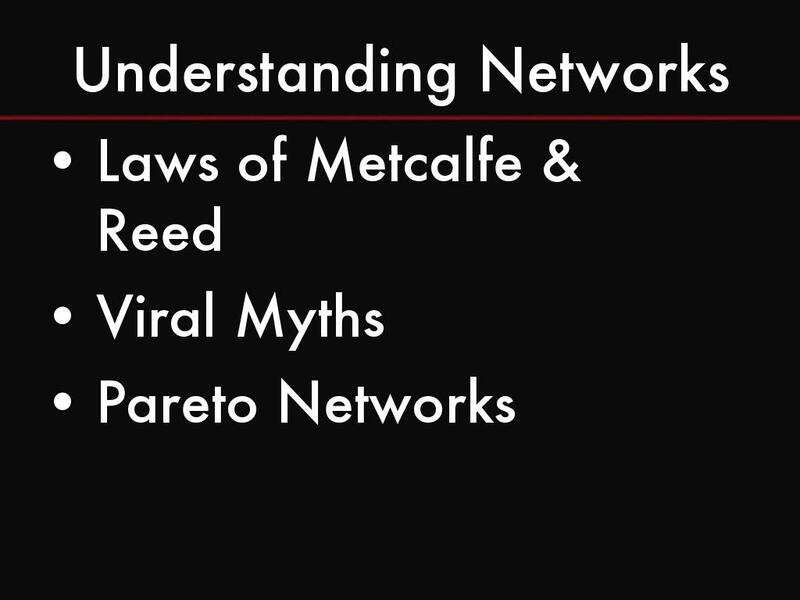 That's why it is crucial to understand networks. If you'd like to know more about networks read Albert-László Barabási's book Linked: The New Science of Networks. 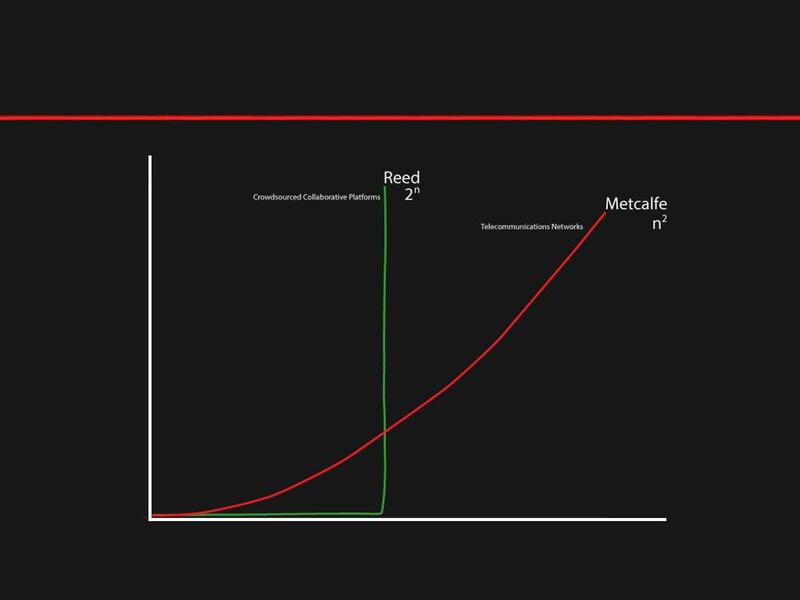 Reed updated Metcalfe's equation because he believed a simple square of a network's members undercounted the value of collaborative networks, networks where users are adding, interacting and engaging with other members building, improving, and recruiting members by the strength of their interactions. Reed's 2 x (n) where n = number of a networks' members show a Facebook or Twitter-like scale distribution. 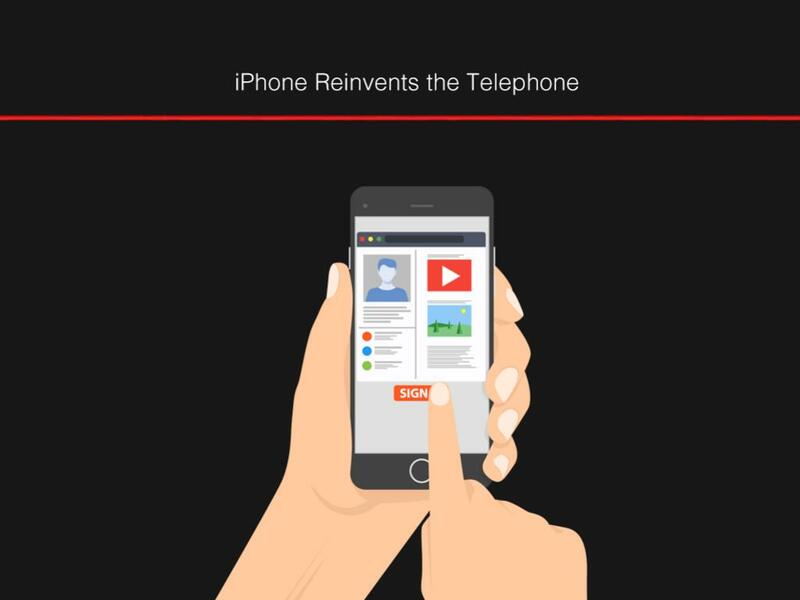 The reinforcing nature of the network produces a rapid exponential expansion. The viral myth where ideas create pull by sheer force of their thought, meme or brand is not supported by research Hit Makers shares. 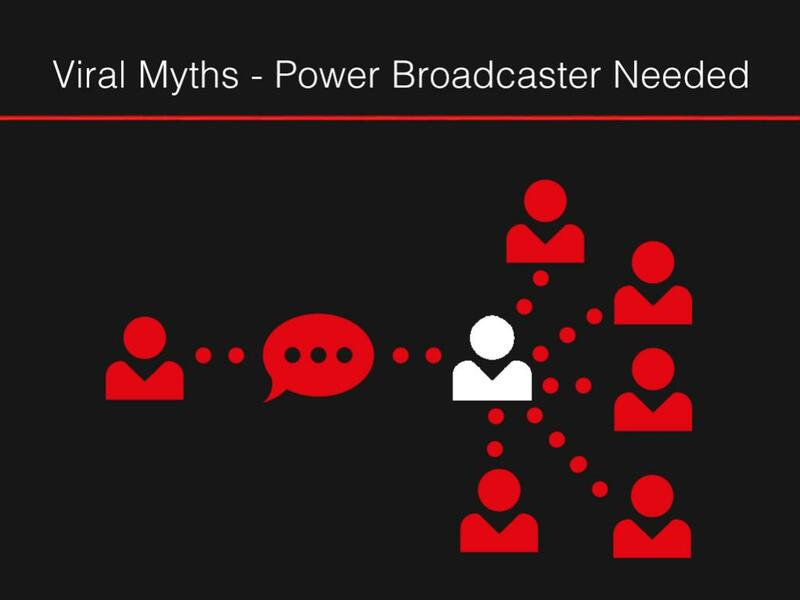 Broadcast diffusion is more likely to propel ideas beyond their original network. Social network research shows few messages are shared. 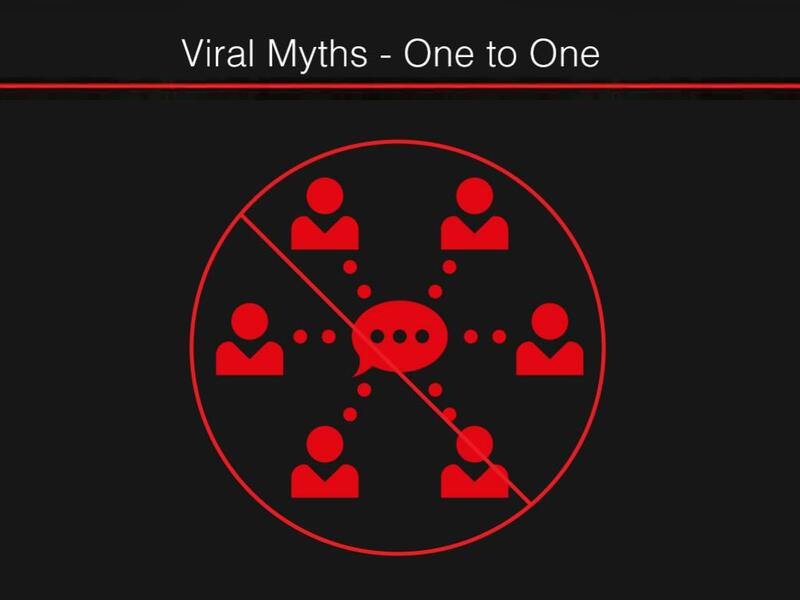 Viral is not about a million one-to-one moments. 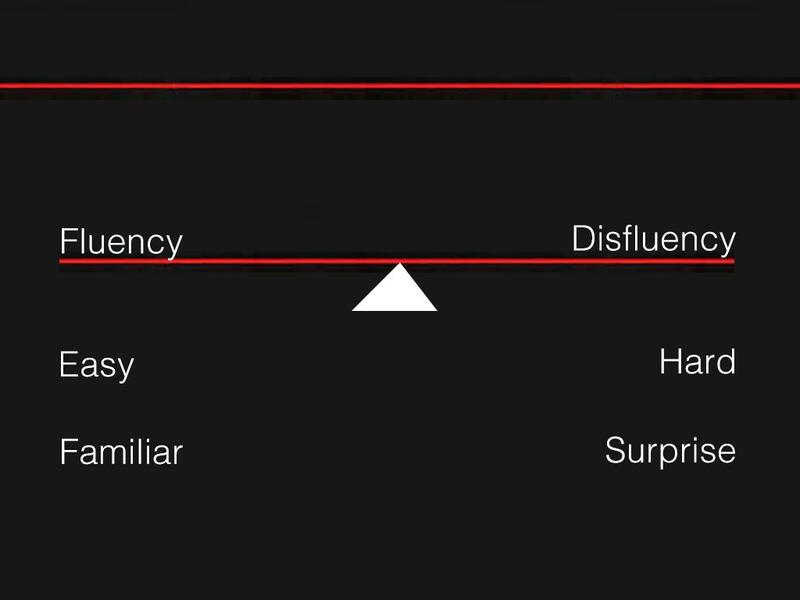 Instead, virality is spread by "broadcast diffusion". Not everyone in your network is equal. Some have "broadcast diffusion" potential while most do not. Therefore, it is key to know, empower, and understand who is capable of "broadcast diffusion". Who are any networks "power users" willing to sacrifice, share, and advocate. 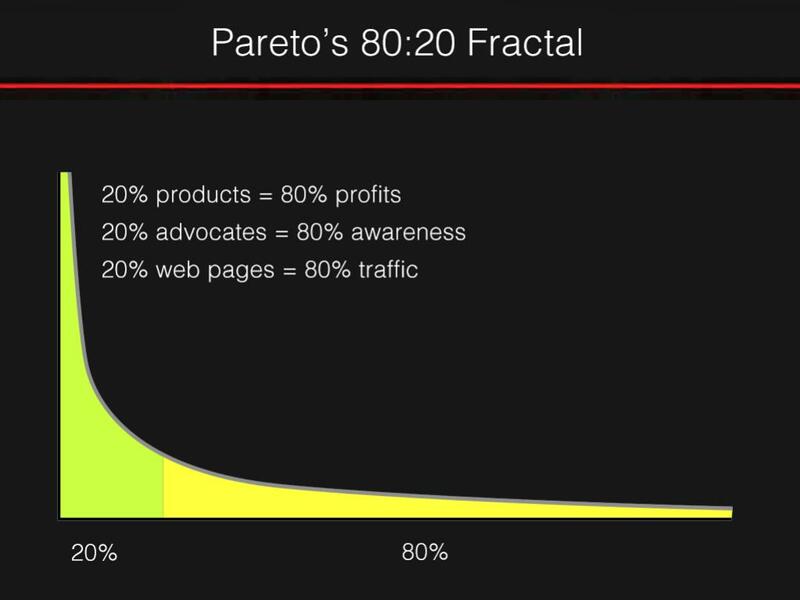 When Vilfredo Pareto noticed 20% of the Italian population held 80% of the nation's riches in 1896 the web's most constant fractal was born. Online 20% of something inevitably creates 80% of the total. 20% of a site's pages (or less) receive 80% of the traffic. 20% of customers produce 80% of a company's profits. 20% of links produce 80% of a site's traffic. A "Pareto Network" is one that understands the importance of identifying and empowering contributors and those few with "broadcast diffusion" potential. One of my startups helped launch Magnetic Poetry Kit in the 1990s. What took years then would take weeks now, but the timeline remains instructive. 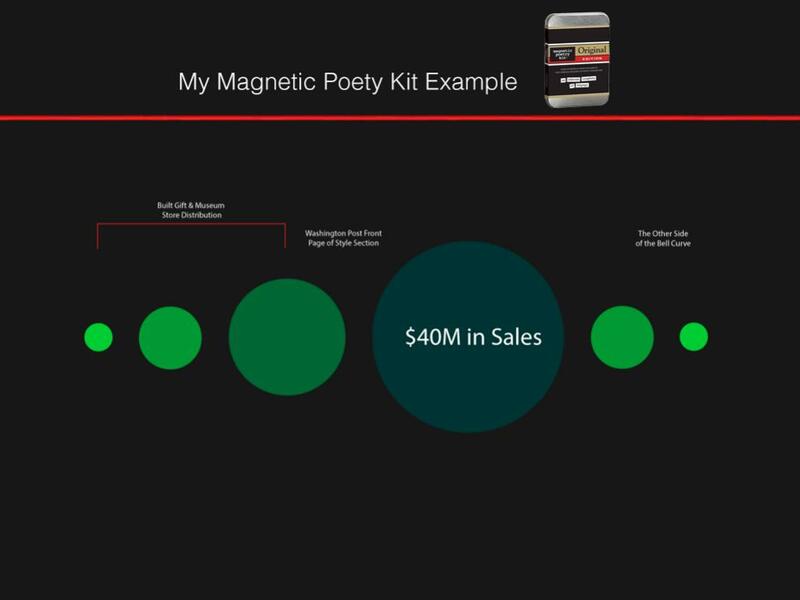 We built the right distribution model for words on magnets selling first in museum stores and then in small gift stores. Wish I could take credit for the brilliance of this strategy, but my partner Janet McKean was a buyer and store manager at the Museum of Contemporary Art in Chicago and that's why we sold into the right venue to create cool. Our first several million in sales came from these small gift stores, but we couldn't get Barnes and Noble to buy the "unproven" product. Read Geoffrey Moore's great book Crossing the Chasm to learn why Barnes and Noble could have cared less about our success in small gift and museum stores. When Katharine Graham, then publisher of the Washington Post, fell in love with the product, featured it on the Post's style section, and gave the product away at a party we crossed Moore's chasm and Barnes and Noble conservatively bought the product. Luckily demand was primed so the product flew off B&N's counter leading to what would become a $50M novelty product. Websites may receive many visitors, but only about 10% will engage in ways marketers can see, monitor, and model. 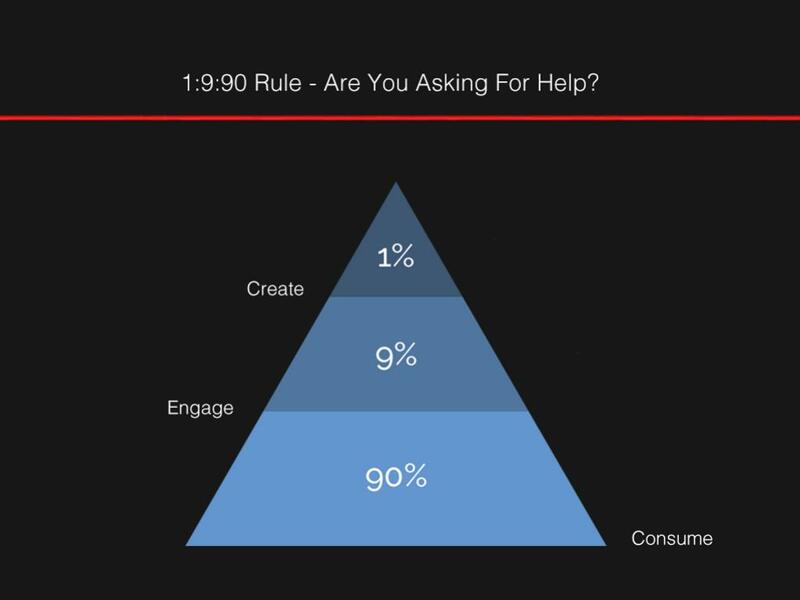 The most important 1% are those customers willing to share content and active advocacy. Right after those critical Ambassadors stands a group willing to help especially when content comes from their fellow visitors - the 1%ers. 9% will help with shares, likes and, if you're lucky, links. 90% of any site's traffic "consumes" content without feeling the need to share or contribute. Don't undervalue this group of "readers" since they shore up your website's traffic, SEO and Google rank. Finding, empowering, and rewarding your website's 10% is any marketers CSF (Critical Success Factor). But such knowledge is easy to come by and common for most digital marketing teams. 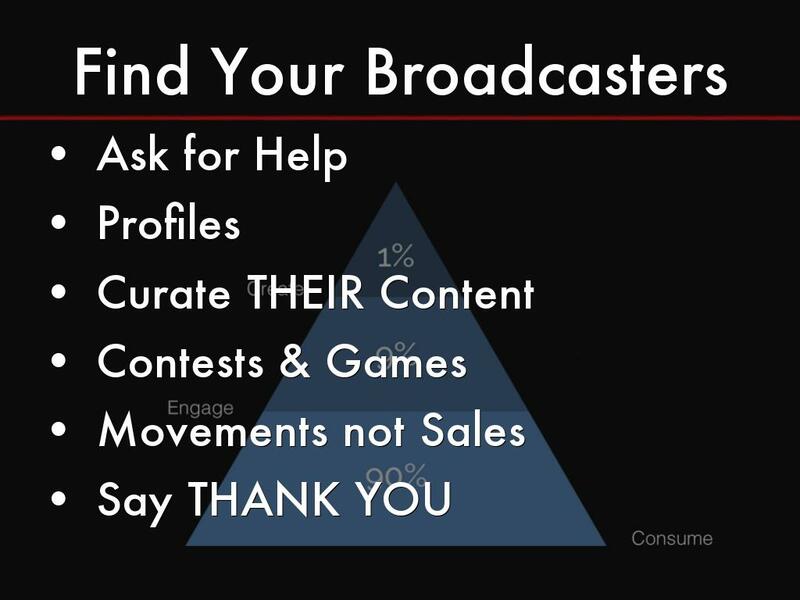 Learning who, within your tribe of supporters, has "broadcast diffusion" potential separates good from great in e-commerce marketing. 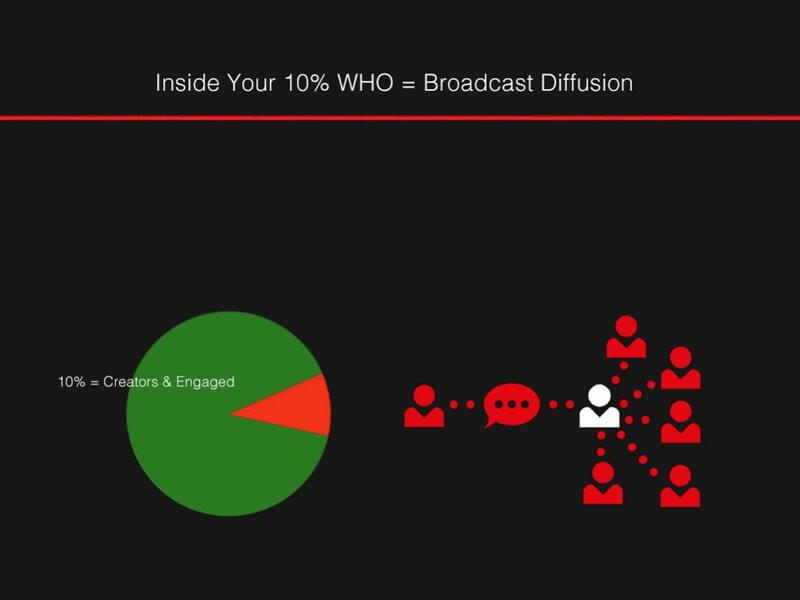 Finding those few, possibly on one or two, customer advocates and contributors capable of "broadcast diffusion" is why content, products, and brands "go viral". 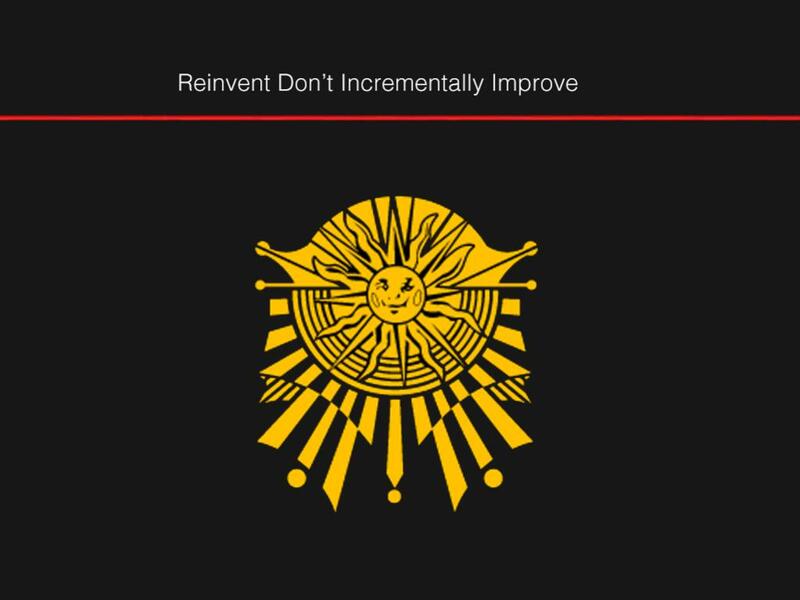 Most website creators pursue the insanity of incremental improvement. When competitors offer free shipping they offer free shipping out and back (returns too). When competitors offer buy one get one specials they top it with buy one get two. Ruin and devastation lies down this path. 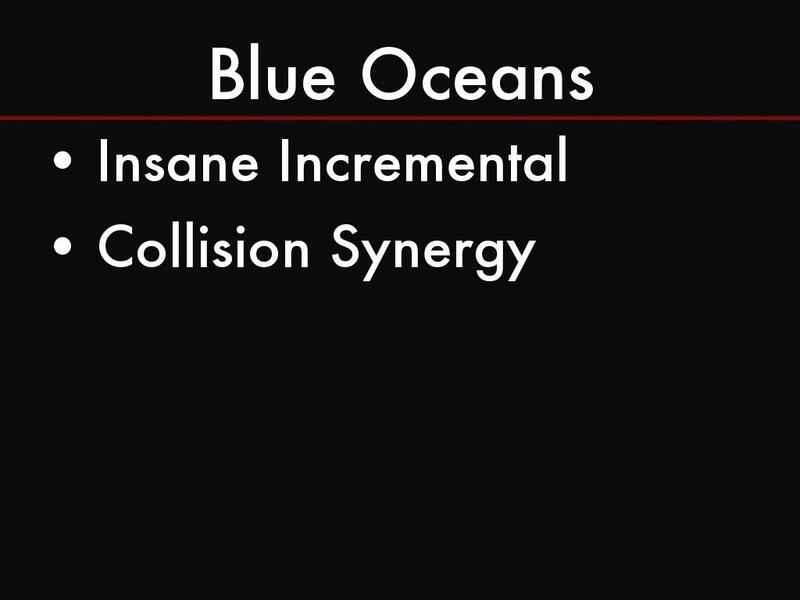 You must find "blue oceans" and make competition irrelevant as Kim explains in Blue Ocean Strategy. We've seen clients insist on the wrong things and in the wrong ways. 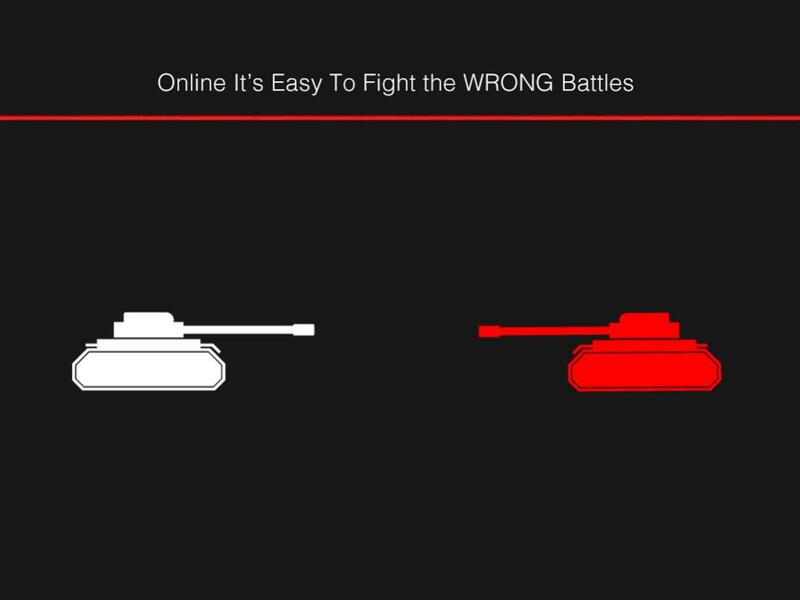 There is so much DATA in e-commerce it is easy to fall into the wrong battle and fight it in the wrong way. One client insisted on winning top SEO placement for a single keyword phrase. The phrase was important, but total monthly traffic on the term was hundreds not thousands or tens of thousands. Winning that single term was ONE of the objectives needed to build efficient and sustainable digital marketing but not the only one to the exclusion of others. We've also observed clients fighting to win terms with no actual traffic attached. Spend time imaging your business based on unmet customer needs. Find blue oceans where you're company, brands, and website is the only fish in the tank. Leave the incremental red oceans to others. 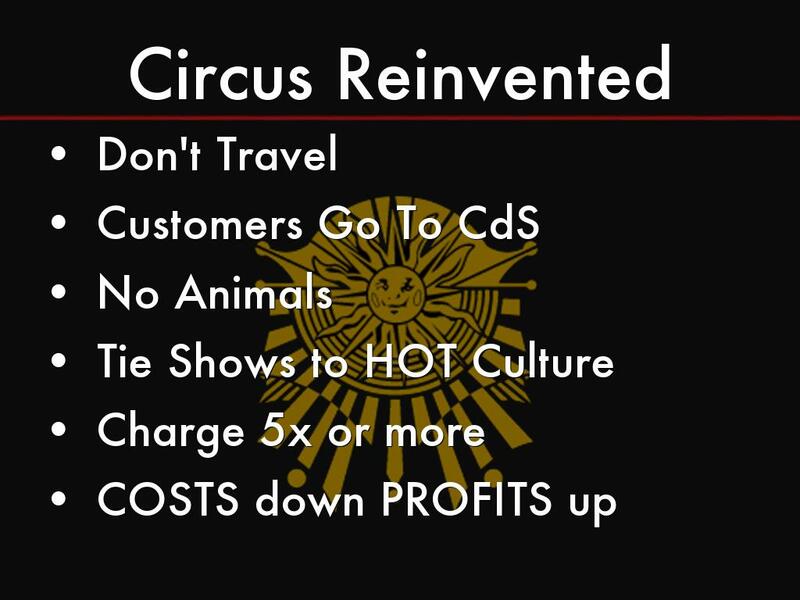 The way Cirque du Soleil changed what "circus" means is our favorite example of an effective blue ocean strategy. Important to think of your online marketing as incomplete. 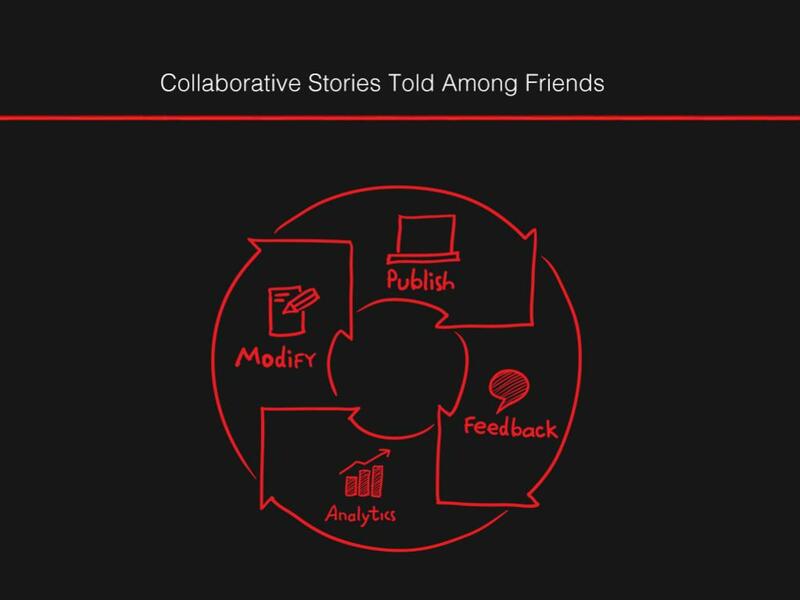 You share an idea that is then enriched, evolved, and completed by your audience. Rinse and Repeat over and over, faster and faster, better and better. 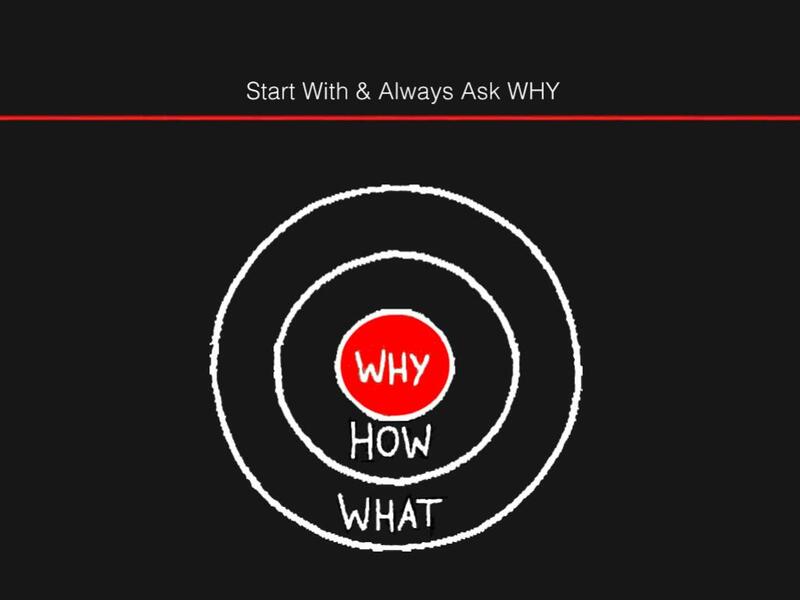 Start with Why by Sinek is a must read because every Type "A" entrepreneur want's to start building things, they want to jump into the HOW. If you don't know who you are how can any visitor, customer, or potential advocate? 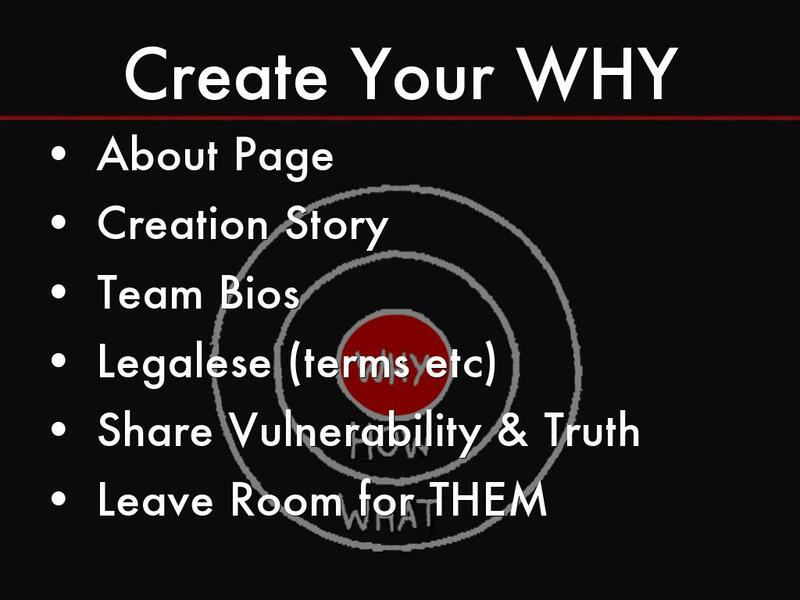 Don't create your WHY as set in stone or complete. 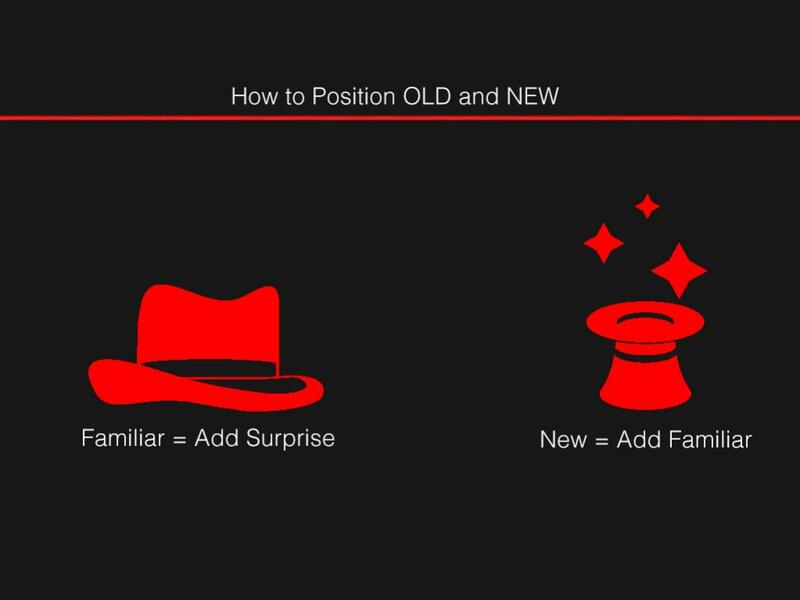 Leave room for your customers to help and understand what and who you, your company, and brands are today will change over time. Your ABOUT page is the most important page on your website yet few think of it that way. Most look at their ABOUT page as a necessary evil. Don't make that mistake. 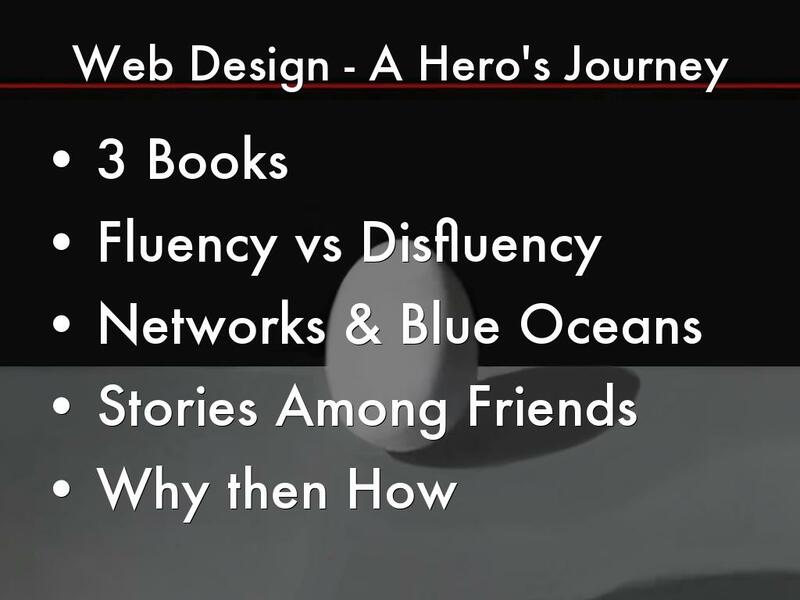 Infuse your ABOUT page with stories, images and things you've learned from the journey. Be sure to include a creation story. How did your company start? Why did you start it? What LOVE motivated you to leave "job" to enter the unknown land of startups? Be sure to include bios from everyone on your team. Team bios help team members feel included and create a bigger "like me" net. Your customers look for people like them. Finding people like them creates trust, connection, and a willingness to advocate. Make sure EVERY word on your site is infused with the same tone, passion, and welcoming language as your ABOUT page. Never let your lawyers write your copy.